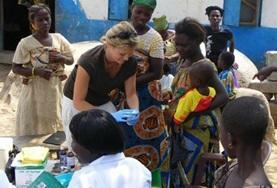 Medical volunteers interested in Africa are ideal candidates to be medical interns in a hospital or clinic in Africa. 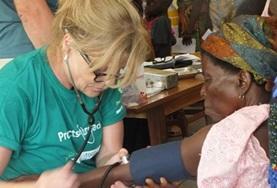 Volunteering in Africa is a valuable way to explore the field of medicine. Medical interns in Africa are usually incorporated into the daily routine of the local medical hospital or clinic quickly, where the work can be interesting and varied. 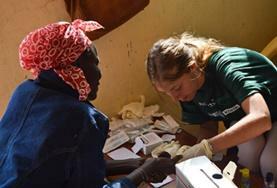 There is a wide variety of departments within the hospitals and clinics that our medical volunteers can investigate while they are interning in Africa. From pharmacology to maternity, you can generally explore whatever subjects interest you most or you find the most challenging. "My placement at Tetteh Quarshie Memorial Hospital in Mampong was so fulfilling, I only wished I could have stayed on for longer. Throughout the 10 weeks I was there I got to see so many things - the work was quite flexible so there was a chance to see most of the different departments including the Surgical, Maternity, Medical and Paediatric Wards, Outpatients Department, Pharmacy, Physio and the Laboratories." 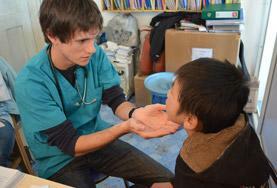 Medical internships in Africa are filled with numerous opportunities for volunteers who are interested in medicine or want to work in a hospital. 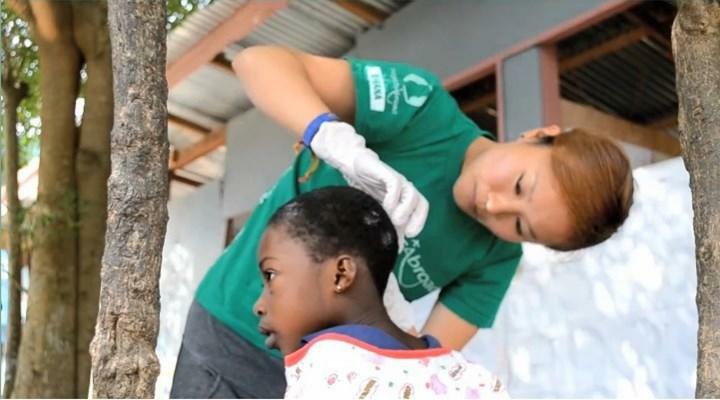 Volunteers who decide to participate in a medical internship in Africa will have the chance to see medical procedures, help in clinical and hospital work, and gain valuable experience. Hospitals in Africa are not generally equipped with all the modern equipment that is available in the United States and many other more westernized countries. 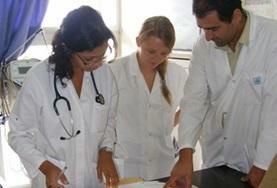 So for these medical internships a strong interest in medicine and a desire to help others are very important. High school students interested in becoming doctors, pre-med undergraduate college students, medical school students, students who want to take a glide year and doctors are all people who are qualified and wanted for these medical internships in Africa. Students of all academic backgrounds and interests are typically welcome to volunteer as a medical intern in Africa because there are generally no prerequisite courses or experiences. Volunteers who are high school or college students who want to become doctors, are on the pre-med undergraduate track, are in medical school or are taking a glide year before starting medical school might be particularly interested in doing a medical internship in Africa. 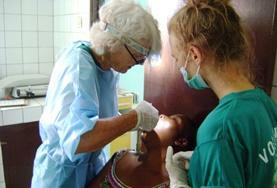 Many of the volunteers have found doing medical volunteer work in Africa to be tremendously gratifying. 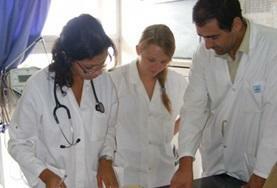 Medical interns are often given the opportunity to care for sick or injured people and to learn new medical techniques that they would not have been exposed to until their second or third year of medical school. 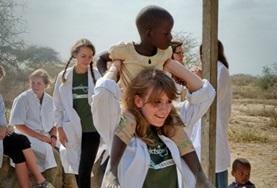 Medical internships in Africa give the volunteers the chance to do important volunteer work in countries that need help and possibly obtain new knowledge in medical techniques and practices. "I am a pre-med student who graduated from University in May 2007. I know the rest of the world has a different system, but in the U.S we have to go to University first before we go to medical school. After graduating, I decided to take a year off before going to medical school. I wanted to do something that would really solidify my motives for entering the field of medicine. My desire to become a doctor originated from a film about missionary doctors in Africa and so, naturally, I decided to take that and make it a reality." 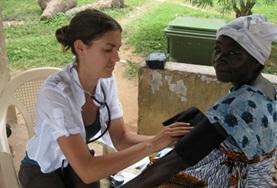 Medical volunteers who are interested in learning about local medical techniques should consider volunteering for a traditional medical internship in Africa. 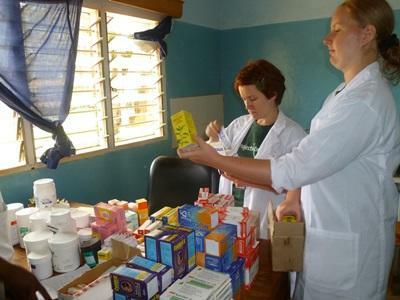 There are traditional medicine internships available in Africa that combine western style hospital skills with the traditional local techniques. Most volunteers who have grown up and received an education in countries that are westernized have a very different set of medical practices, ideas and skills than those that will be found practiced in the more traditional areas of Africa. These traditional medical internships will expose the volunteer to a new way of looking at medicine and possibly the world because many of the locals’ medicines have deep roots in their ancient histories and cultural beliefs. 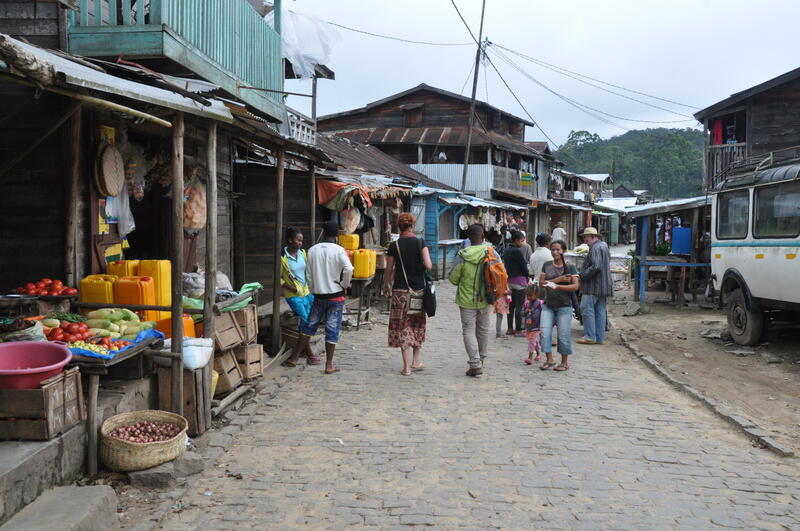 Also many of the locals’ more natural remedies have been passed down for many generations which allows the volunteers to perhaps feel a connection to the history associated with the traditional medicines. Intern at a hospital in Ghana and spend time in a number of different departments including pediatrics, maternity, accident & emergency, surgery, and physiotherapy. 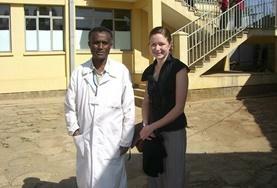 As an intern, you can shadow and learn from doctors at a health clinic or hospital in Nanyuki. There are a variety of departments in which you could intern including maternity, general medicine, surgery, and paediatrics. 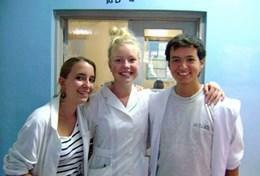 Intern on a Medical project and gain a unique insight into local procedures and patient support are carried out in Morocco compared to your home country. 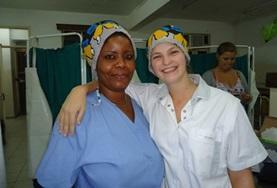 Choose between interning in a large government hospital or a small health clinic in Tanzania. There are a variety of departments available including HIV, maternity, surgery, and pediatrics. 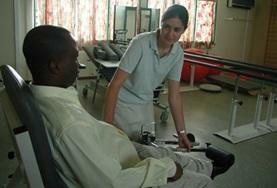 Intern at a public hospital or private clinic in the Togolese capital city of Lomé. 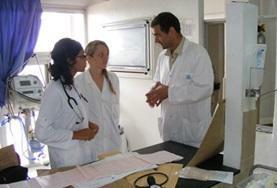 Interns with little or no experience may work at a small private clinic, observing consultations and minor surgeries. 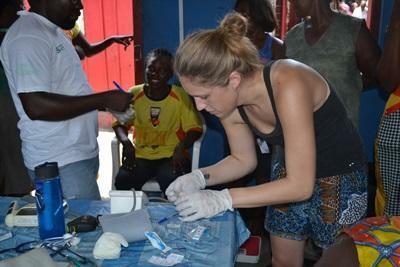 Intern in Ghana and a unique insight into how local preocedures and patient support are carried out in a developing country. If you want to take up an internship abroad as a nurse, we have a huge number of opportunities available in health clinics and hospitals in Nanyuki, Kenya. Nursing internships in Morocco are a great way to gain meaningful experience in this field while living in the fascinating city of Rabat. Interning as a nurse in Tanzania will allow you to observe a number of medical conditions while working alongside skilled and dedicated local staff. 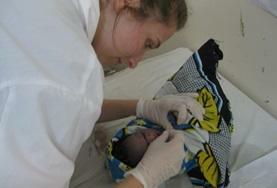 As a Nursing intern in Togo, your role will include providing vital support to both local medical staff and patients. Work in a range of maternity settings when you intern as a midwife in Ghana and gain insight into how local procedures and patient support are carried out. Spend time observing and assisting professional midwives in a city hospital's maternity unit, and learn more about health care in Tanzania. 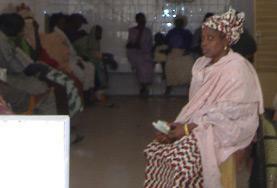 Intern in the maternity department of a hospital in the city of Lomé. 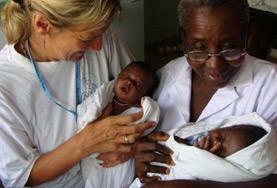 You are likely to see a number of births and you will be able to provide emotional support to the women. Interns work in the dental departments of hospitals throughout Ghana and learn from shadowing qualified dentists and other medical staff. Volunteer in the dental department of a local hospital and have the opportunity to learn about the dental profession in a developing country. 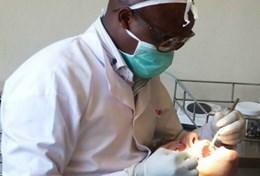 Work alongside staff in a dental clinic in Dar es Salaam or Arusha. As an intern you can observe procedures such as tooth extractions and join outreach programs in local schools and care centres. As a Dentistry intern, you will live and work in the fantastic Togolese capital, Lomé and work alongside local staff in the dentistry department of a large public hospital. On this internship you will be based the outskirts of Accra, Ghana’s bustling capital city, where you will work alongside local healthcare professionals who will be eager to enhance your skills and knowledge. 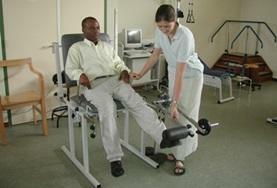 Develop your skills and medical knowledge on a Physiotherapy internship in a Ghanaian hospital. Interns work alongside professional local staff who will be eager to share their experience with you. Physiotherapy interns in Morocco work in either a hospital or care centre, assisting and learning from professional local staff in caring for patients. Interning on a Physiotherapy internship in Togo means you will benefit from working with local staff who provide care without much of the modern equipment available in the developed world. 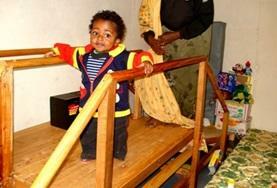 On this internship, you will support children with special needs. You will be involved in helping the children improve and develop their speech and language ability. 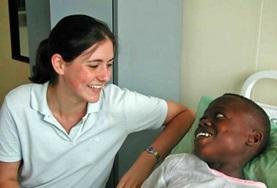 A Speech Therapy internship will provide you with meaningful work experience in this field. 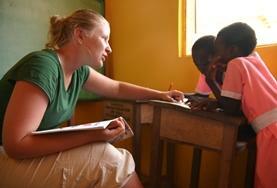 All interns work in schools or day care centres where material resources are sometimes lacking. 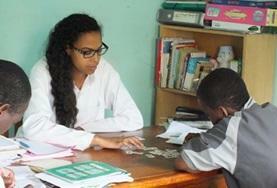 A Speech Therapy internship is a unique chance for you to make a difference to the lives of disadvantaged people. You will either be based in an NGO or a school. If you are passionate about making a difference in the lives of children and young adults, this internship may be perfect for you. All interns work in either schools or day care centres. Work as an occupational therapy intern and treat patients of all ages who may have orthopedic, neurological, or psychiatric conditions. 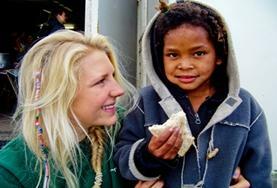 Raise awareness of the importance of nutrition and gain meaningful practical experience in Cape Town, South Africa. You will also help improve nutrition in underprivileged township areas.